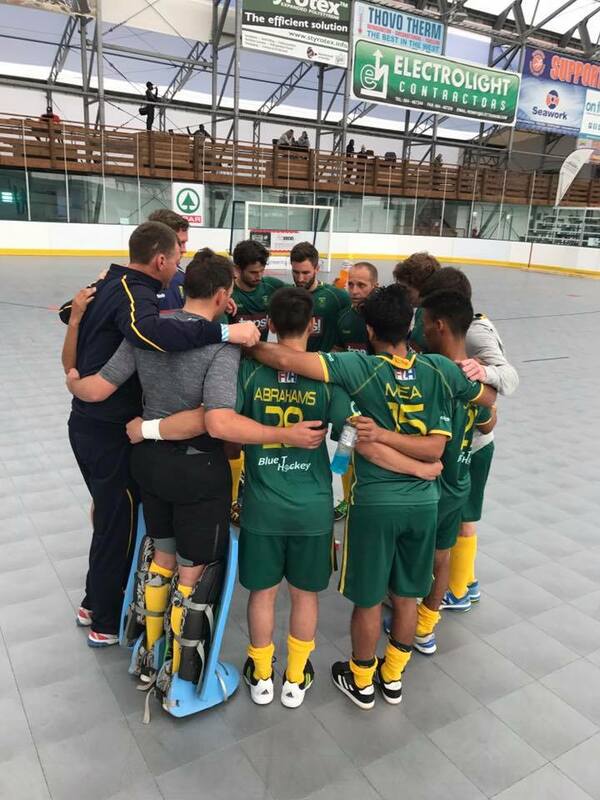 The first match of the Mens tournament at the African Hockey Indoor Cup of Nations produced a battle that few would have anticipated. 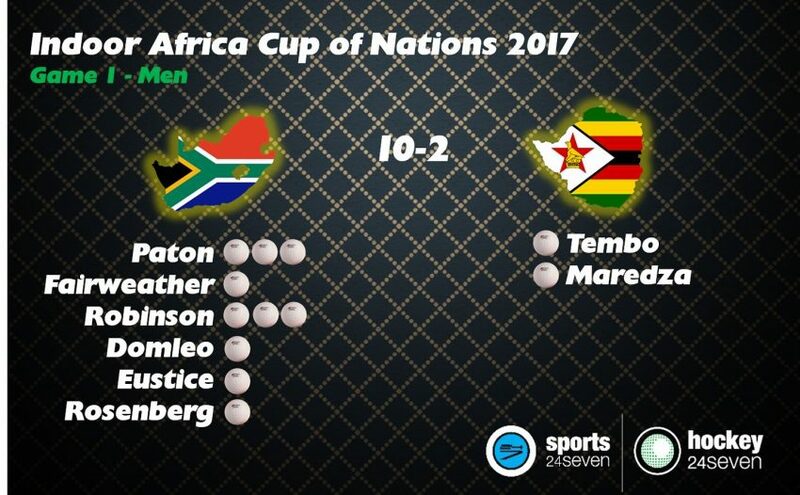 After a tentative 10 minutes Zimbabwe stunned SA with a poachers goal. That seemed to kick start the SA men though as a hat-trick by Olympian Wade Paton made the half-time score 3-1. When Tembo made it 3-2 with a beautiful dink there were some nerves in the SA Squad who then faced four consecutive Penalty corners from Zimbabwe but held on to the lead. Keagan Robinson then got himself a hat-trick as South Africa turned on the class to run away with it. In the end it was a comfortable victory for SA, but one that would have given them more than a few moments of anxiety in a tough opening game.